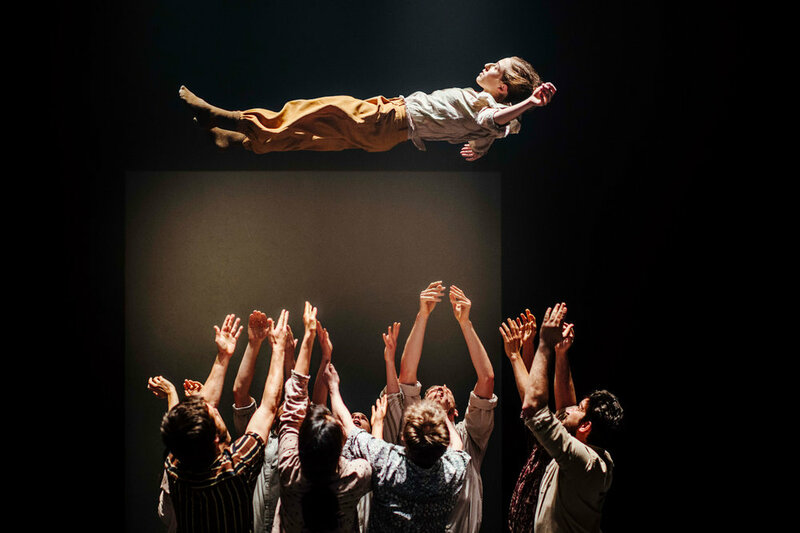 Part-gig, part-dance, part-theatre and wholly original: there is no other way to describe Grand Finale, the latest work of internationally celebrated choreographer Hofesh Shechter. As one of the centrepiece, exclusive works of the 2019 Auckland Arts Festival, Grand Finale is spectacularly bold and ambitious contemporary dance featuring ten dancers and live music performed by an onstage band. Grand Finale is at once comic, bleak and beautiful, evoking a world at odds with itself; full of anarchic energy and violent comedy. For aficionados of contemporary dance, this will be the Hofesh Shechter Company’s Auckland debut and the first time the company has been to New Zealand in seven years. For those new to contemporary dance, Grand Finale offers the best possible introduction – bold, irreverent and completely exhilarating. Choreographer, dancer, musician and composer, Shechter is one of the trendsetters of contemporary dance. He creates work that is rough, unorthodox, dynamic and exciting – and composes much of the accompanying music himself. Like many Israeli choreographers, Shechter’s work is almost always politically charged. In this instance Grand Finale refers our world hurtling towards its apocalyptic end. Shechter’s style embraces an energy that captivates the audience. His dancers use rapid movements full of raw energy, almost as if by remote control. In Grand Finale, Shechter’s vision lies somewhere between comedy, danse macabre and apocalypse, in surreal scenes full of beauty, grace and brutality. With his energetic, powerful choreographies, combined with his unique soundscapes, Shechter creates universes that are raw yet delicately beautiful. Grand Finale is Shechter’s first collaboration with designer Tom Scutt. The score includes works by Franz Léhar and Pyotr Tchaikovsky, as well as his own compositions. The band features a small group of musicians, who play 18 instruments between them including cellos, viola, harmonium, guitar, trumpet, clarinet, a variety of eastern and oriental flutes and drums and a Persian Santoor. Grand Finale premiered at La Villette Paris with Théâtre de la Ville in 2017.